105km cycling event starting from Dial Post, RH13 8NS. Controls at Winterfold Common and Herons Ghyll, plus 2 information controls. Circular route - Dial Post to North Downs above Cranleigh and back, looping E of Horsham on return. Snacks en route, Soup at finish. I will email you a route sheet. 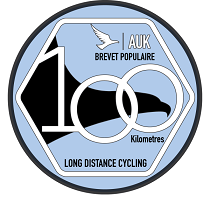 Certified Brevet cards will be posted to you.